Students of LEPL Kulevi public school of Georgia were looking forward to meeting Santa with all his gifts. This mission was undertaken by the management of Black Sea Terminal. Our company congratulated them on the New Year with gifts and sweets, wishing them success in their education and future activities. The students presented their festive event for Santa by writing poems, doing sketches, and performing songs and dances. New Year presents were also given to the teachers, who expressed their gratitude for such an event and for fulfilling the students’ dreams. The event resulted in warm and happy moods for all. Sending New Year gifts to the beneficiaries of Satnoeba House in the Khobi municipality of Georgia has become a tradition for Black Sea Terminal. As such, each resident of the charity house can enjoy and celebrate New Year by receiving groceries and other gifts from our company. These New Year presents have brought great happiness and gratitude among the charity house residents, and they have expressed their appreciation towards Black Sea Terminal representatives with warm words and smiling faces. Attendees from the local municipality and authorities from our company attended the event. Khobi Municipality governors first assistant Mr. Varaz Gabedava pointed out that Black Sea Terminal has always expressed a great willingness to support and stand next to the municipality citizens, and that the BST has commenced many social projects on its own initiative. Black Sea Terminal will continue its support of social projects, and is always ready to provide encouragement to the people who are in deep need of such help. Catharsis is an international humanitarian association that was established in Georgia in 1990. It represents complex help center for socially vulnerable people. The association unites the emergency social services that are in high demand today. These services include a canteen and medical services, as well as a rehabilitation center, relaxation hall, and a library. Catharsis branches operate in six cities and regions of Georgia, helping 1 500 beneficiaries throughout the country. "This is the place where you should come not just in cases of hunger. Instead, if you are hungry, thirsty, feel cold or lonely, or if you yearn to be with people… then come to us. Together we won’t feel loneliness anymore,” explained a Catharsis beneficiary. Tbilisi’s Catharsis canteen feeds more than 300 people a day. The project entitled "Dinner for All" has been implemented since 2002, and it serves everybody, regardless of their age and social status. Acts of charity and caring for people in need is characteristic of our company. Each year, Black Sea Terminal donates a significant amount to the Catharsis association. Mr. Zaur-Oleg Aladashvili, the President of Catharsis, sent a letter expressing gratitude and thankfulness to our company’s General Director. He mentioned in a letter how Black Sea Terminal has been making financial contributions to Catharsis for more than three years. In addition, BST actively participates in the support process in the quest to assist socially vulnerable people. Without such assistance the association would not be able to implement their important projects aimed at helping people and providing them hope. The President of Catharsis expressed an especially warm attitude towards the entire staff of BST along with the general director. It is correctly said: “When you help someone who has fewer possibilities than you, it’s an act of kindness in the eyes of God. When you do good work, you perform acts of kindness for yourself, and when you sin, you damage yourself. Thinking about kindness and performing acts of kindness should be the essence and goal of humanity. 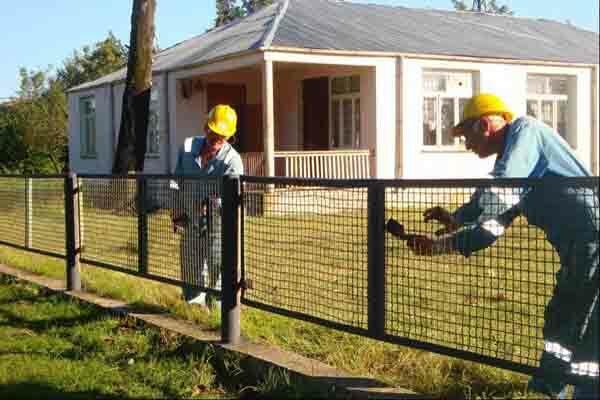 The Black Sea Terminal management has maintained its tradition of giving-back to the community, and has actively participated in essential activities to improve and renovate the infrastructure of a public school in the village of Kulevi, in Khobi municipality. The company allocated the necessary financial resources, which allowed students to meet the new academic year with an improved and pleasant environment. In a letter, the school’s administration expressed their deepest gratitude to Black Sea Terminal management for the significant charitable activities, which have been implemented for the students of Kulevi public school by our company. Black Sea Terminal management has always paid considerable attention to the ongoing developments or problems of the school. Black Sea Terminal will actively continue to cooperate and support the various educational-cultural activities and projects in the region, which will help young people obtain their education and become equal members of society. Education and continuous development has been one of the top priorities of our company’s social activities and this will not change going forward. 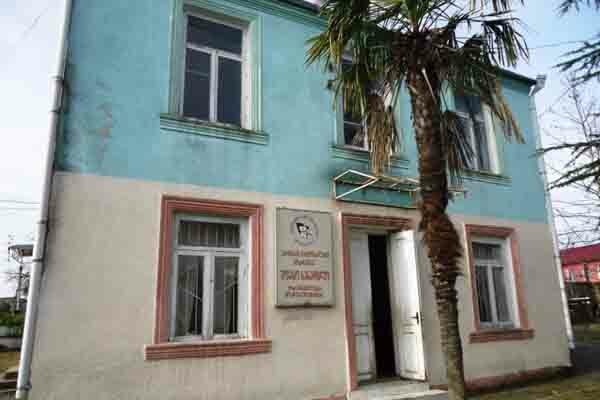 Black Sea Terminal administration (BST) has decided to implement an important charitable act to help support socially vulnerable residents in the Khobi municipality. After becoming familiarized with their difficult social conditions, BST decided to get involved. As such, BST company representatives delivered charity goods to Khobi, as well as donated two trucks to the municipality. This act elicited a great response from the people on almost all levels. The population now understands that there are philanthropists who care about the vulnerable people around them, and their wellbeing. In this day and age, it is necessary to care for people around us, regardless of the daily problems and events that are rapidly changing. In this regard, BST is a leader not only in the Khobi municipality, but throughout the region. We believe in good deeds and it will become the basis for a bright future. 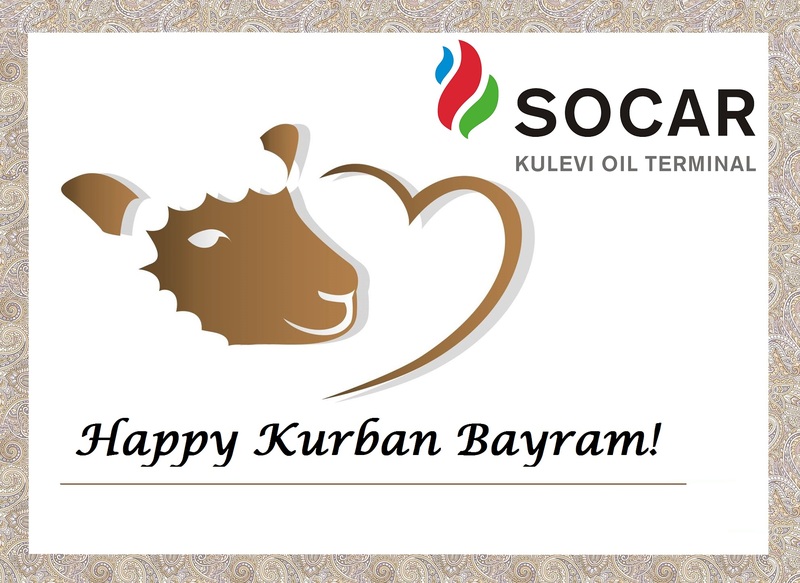 Kurban Bayram is all about charity and community. During this holiday a goat or sheep, sometimes even a bull is sacrificed and, as a rule, divided among seven people. The meat is then given to the poor and shared among family members and neighbors. People are constantly on the move visiting family and friends. Family ties get strengthened, and children are given an opportunity to bond with the older generation. Kulevi Oil Terminal congratulates all Muslims on this saint day and, wishes everybody harmony, understanding, happiness and prosperity. Black Sea Terminal LLC has always been actively involved in cultural, educational and charitable activities in the region. 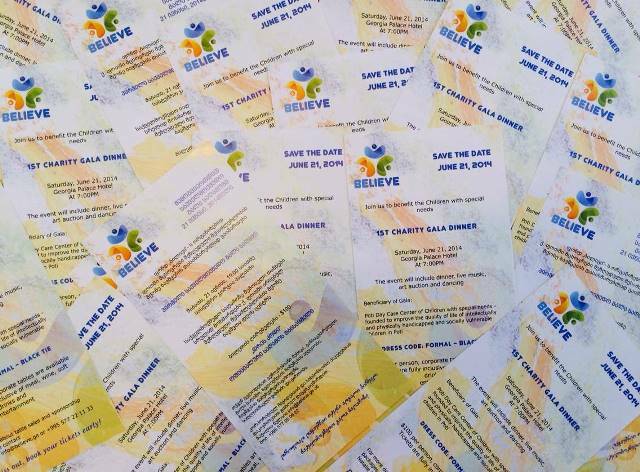 Active cooperation with the Believe Foundation is more proof of these activities. The basis of this cooperation-relationship was established a year ago, and took an interesting and intense character. 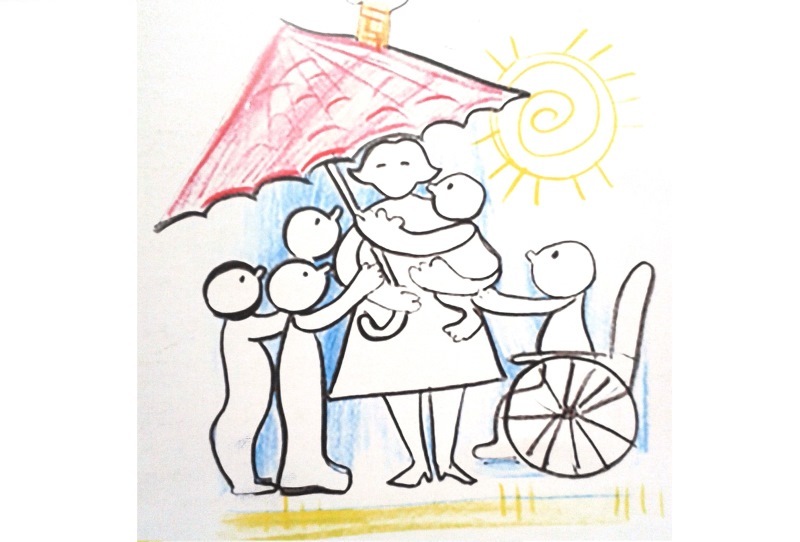 This cultural, educational and charitable organization was established a year ago to support the integration into society of socially vulnerable families and people with disabilities. On the 20th of June of this year, Black Sea Terminal LLC sponsored a Charity Gala event organized by the Believe Foundation in Hilton Batumi Hotel. The event was filled with dinner, live music, art auction and raffle tickets. The event was a great success and over GEL 100,000 was raised. All proceeds will be directed to support children with special needs and socially vulnerable families in Poti. Kulevi Oil Terminal management feels great sense of social responsibility, and will continue to look for various ways to give back to those in need. 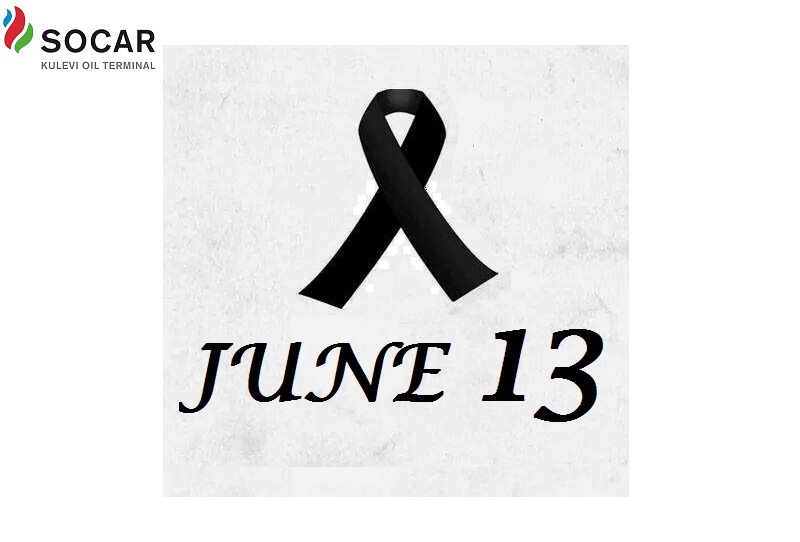 Black Sea Terminal LLC, a member of the SOCAR Group - State Oil Company of the Azerbaijan Republic, would like to express its deepest regret in connection with the tragedy that happened as a result of a flash flood in Tbilisi on June 13, 2015. Black Sea Terminal LLC transferred 30, 000 GEL as a donation in a specially created fund to support the victims of the Tbilisi natural disaster. The disaster has left dozens of families homeless, and has caused a disruption to the city's main infrastructure. With its donation, company management intends to make its contribution in the recovery efforts of the capital of Georgia. With regard to corporate responsibility, Kulevi Oil Terminal always tries to support those in need, by providing financial support to various social projects and cultural events. 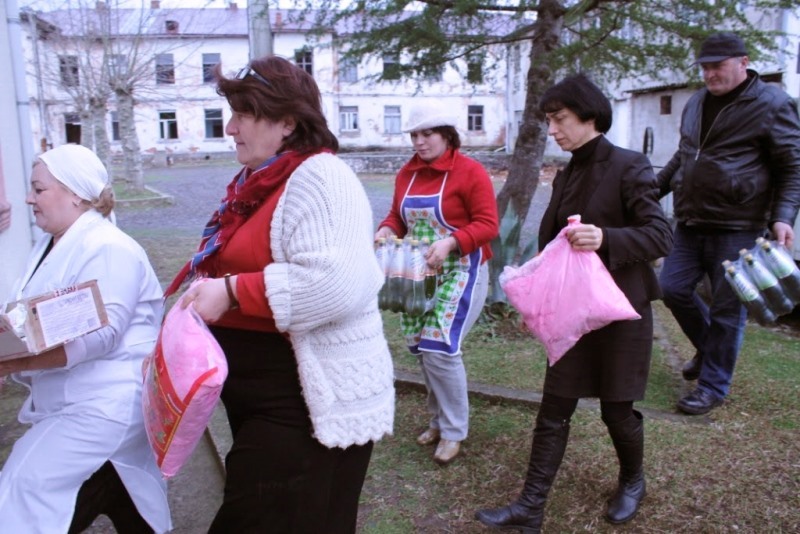 Most recently, Black Sea Terminal financed a charity initiative that made it possible for poor Azerbaijani families residing in Adjara to put food on the table during the Nowruz holiday celebration. Unfortunately there are people among us who belong to socially deprived parts of society, and charity is not measured by the amount donated to them, but it is vitally important to support them, and give hope of the future. 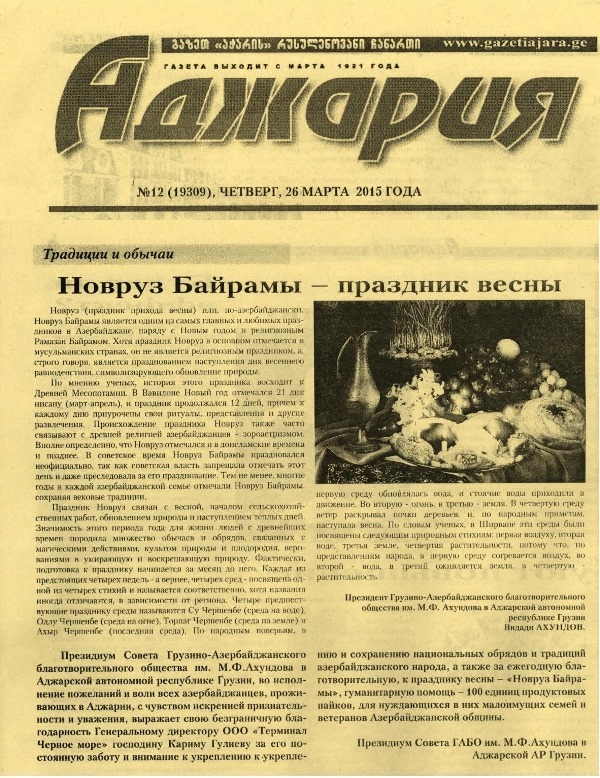 “The panel of M. F. Akhundov Georgian & Azerbaijanian Charity Society of Adjara, in the name of all Azerbaijani families residing in Adjara, express its extreme gratitude to Black Sea Terminal LLC management for its constant care and attention to the consolidation and preservation of national rituals and traditions of the Azerbaijani people, and also for yearly charitable act during the holiday of Nowruz Bayrami to support poor families within the Azerbaijani community”. Kulevi Oil Terminal has made it a habit to ease the suffering of those in need, and will continue these kinds of charity activities in the future by making a better life for socially vulnerable people. Nowruz, the holiday of the spring equinox, has been celebrated on March 21 for over 3,000 years. Nowruz is marked by the coming of spring and the beginning of a new life; day and night equalization, the seasonal return of birds, warmer air, the onset of melting snow, and the sprouting of trees from the earth, which is revitalizing, and is symbolic of the renewal of life and the start of a new day. Nowruz is also looked at as the beginning of a new year in many countries. In 1926, the Soviet government prohibited the celebration of Nowruz. This holiday was restored in Azerbaijan in 1967, and declared a holiday of state importance. It is a very important holiday in many countries. On September 28, 2009, Nowruz was officially included on the list of Intangible Cultural Heritage of Humanity at the UNESCO summit. In 2010, the UN General Assembly recognized Nowruz as an international day. In 2011, Georgia joined the list of countries where Nowruz is celebrated as a national holiday. Black Sea Terminal LLC celebrates Nowruz this year in its usual manner. The traditions that are tightly linked to this day were introduced to the company’s multilingual team. There was a special dinner for employees as well. The company partook in a number of charity activities, including gift cards for about 100 beneficiaries, and food and sweets were provided to the Adjara Charity Society of Georgians and Azerbaijanis, with the aim of helping people in need. 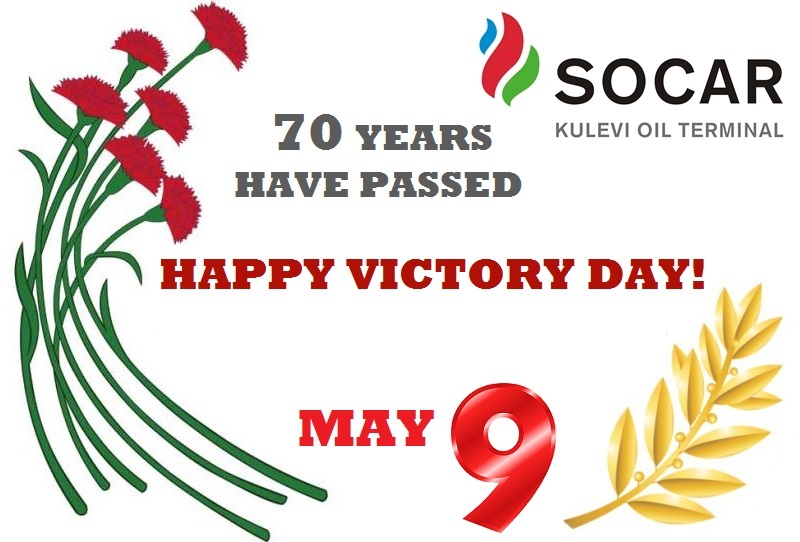 The entire Kulevi Oil Terminal team would like to wish all who celebrate Nowruz, peace, happiness and success both in their private and professional lives. Black Sea Terminal LLC has made it a habit to ease the suffering of those in need, as well as assisting in solving the material and technical problems that schools and kindergartens face, as well as make donations to orphanages, and senior citizen homes. Black Sea Terminal annually takes part in several charity actions each New Year, and this year was no exception. On New Year’s Eve, the terminal helped the House of Virtue, which is located in the Khobi Municipality, organize holiday meals for socially vulnerable beneficiaries. Food products were donated to the canteen where up to 120 people have meals every day. Through this assistance, food supplies were ensured for more than a week. The goal of this generous act was to brighten-up the lives of socially unprotected people residing in Khobi, and at the very least, temporarily make them forget their problems and illnesses. The beneficiaries were extremely grateful for this act of kindness, and expressed their gratitude by wishing the company success and prosperity. New Year congratulations of Kulevi Secondary School also became a tradition for Black Sea Terminal. This year, terminal management presented students and the school’s administration with gifts. The students were happy and joyful. Black Sea Terminal will continue these kinds of charity activities in the future with the hope of making a better life for socially unprotected people. On June 21st of 2014, Kulevi Oil Terminal joined the First Charity Gala Dinner organized by the Believe Foundation – a recently founded cultural, educational, and charitable organization established to support and facilitate the integration into society of socially vulnerable families and people with disabilities. This event is the first charitable project of the Believe Foundation and aims to support children with disabilities at the Poti Day Care center. This center cares for intellectually and physically handicapped and socially vulnerable children and adolescents, and helps them to rehabilitate and adapt to society. The event program included a charity auction with many interesting items donated by famous Georgian artists, athletes and jewelers. 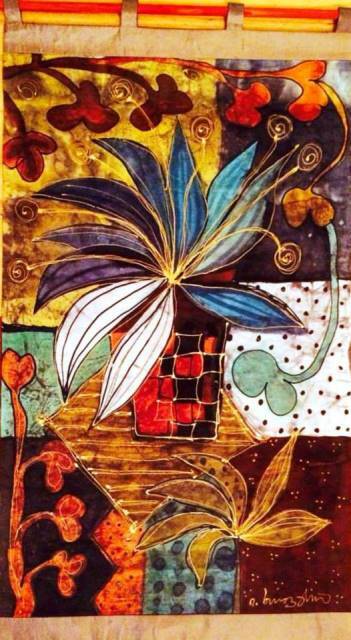 Kulevi Oil Terminal also joined the auction and provided beautiful hanging artwork produced with silk equipment donated by prominent artist of LA MAISON BLEUE - Irma Khoperia. All proceeds from the auction will be directed to support the Poti Day Care Center for children with special needs. Nowruz is a very important celebration in many countries. On September 28, 2009 Nowruz was officially included on the list of Intangible Cultural Heritage of Humanity at the UNESCO summit. In 2010, the UN General Assembly recognized Nowruz as an international day. In 2011, Georgia joined the list of countries where Nowruz is celebrated as a national holiday. Nowruz is celebrated by coming of spring and the beginning of a new life; day and night equalisation, the seasonal return of birds, warmer air, the onset of melting snow, and the sprouting of trees from the earth, which is revitalising, and is symbolic of the renewal of life and the start of a new day. Black Sea Terminal LLC has carried out a number of charitable activities on behalf of Nowruz. Recently, BST cooperated with Catharsis, an organisation that addresses the needs of the vulnerable population, and M. F. Akhundov Georgian & Azerbaijanian Charity Society of Adjara. BST donated food products, as well as other kind of gifts. So on this special day, BST management would like to warmly congratulate on Nowruz Bayram everyone who is celebrating this holiday. We wish you peace, love and happiness, great success in all of your future professional pursuits. Today Kulevi Oil Terminal supported the beneficiaries of the House of Virtue, founded at the Khobi Municipality. The products passed by company representatives onto the canteen, where up to 120 people have meals every day, will ensure the supply of foodstuffs for more than a week. The goal of this generous act was to brighten-up the lives of the socially unprotected people residing in Khobi, even temporarily make them forget their problems and illnesses. The beneficiaries were extremely happy about this kindness shown to them and expressed their gratitude, wishing the company success and prosperity. Kulevi Oil Terminal has made it a habit to ease the suffering of those in need and will continue these kinds of charity activities in the future by making a better life for socially vulnerable people. Kulevi Oil Terminal supported the chess, draughts and backgammon tournament organized in Poti, Georgia by Union of Disabled persons on June 14 celebrated in Georgia as a Day of persons with disabilities. In fact, it’s not a celebration day, but a possibility to remind us of problems which more than 150 thousand of Georgian citizens with disabilities have and that they’re full and equal members of our society, therefore it’s necessary to defend their rights and provide for them the same possibilities as we have. This day aims to promote an understanding of persons with disabilities and encourage support for their dignity, rights and well-being. Evidence and experience shows that this minority often faces barriers to participation in all aspects of society. Kulevi Oil Terminal never misses an opportunity to support them within the possibilities of the company Social Plan and contribute to elimination of obstacles they face. Black Sea Terminal LLC wishes all the persons with disabilities health, courage and success! 68 years passed since the world defeated fascist Germany and followed the road of development and construction. 9th of May reminds us about exploits and incredible fortitude of people who fought bravely for peace. Many of them didn’t come back home, but those who did are true living legend – veterans of World War II. Since the Terminal began its operation in 2008 the company management traditionally year by year joins the celebration of this day of glory to congratulate the veterans and honor the memory of the fallen and missing in action soldiers. 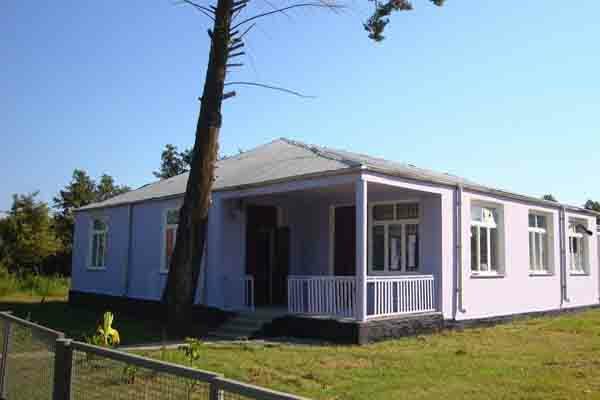 There are 20 veterans of World War II remained in Khobi region. Unfortunately not all of the veterans are here among us today. Kulevi Oil Terminal expressed its respect to the people who fought against enemies and gave their lives for peace. The company representatives brought flowers to the memorial in Khobi and passed congratulations to veterans residing in the Khobi municipality, expressing its gratitude by transferred financial grants. Kulevi Oil Terminal has always tried to be responsive to the requests of those who suffer from absence of living allowances. Unfortunately there are people among us who belong to socially deprived part of the society and charity is not measured by more or less amount donated to them, but it is vitally important to support them and give hope of the future. In connection with upcoming Easter Holidays the Terminal management decided to organize free lunches during 3 days for the beneficiaries of canteen founded by International Humanitarian Union “Catharsis”. Up to 310 beneficiaries are having meals there every day. Besides that, a few days ago the Terminal management also decided to respond the request of a socially deprived young man and fully financed his urgent and expensive surgery. The surgery was successful and he is on the postoperative intensive rehabilitation process at the moment. Hopefully he will soon return to his family and become normal member of our society. Kulevi Oil Terminal will continue this kind of charity activities in the future making a better life for socially unprotected people. Black Sea Terminal LLC made it a habit to ease the sufferings of those in need, help solve the material and technical problems of all kind of social objects like schools, kindergartens, make donations to orphanages, old people’s homes etc. As a rule, every upcoming New Year’s Holidays the Terminal joins several charity actions and this year was not an exception. This year on a New Year’s Eve the beneficiaries of the “House of Virtue” founded at the Khobi Municipality had holiday meals organized by financial support of the Kulevi Oil Terminal. The goal of this generous act was to brighten up their lives, even temporarily make them forget their problems and illnesses. Up to 100 people gathered at the canteen of the “House of Virtue” on that day. They were extremely happy about this kindness shown to them by the Terminal and expressed their gratitude wishing the company success and prosperity. 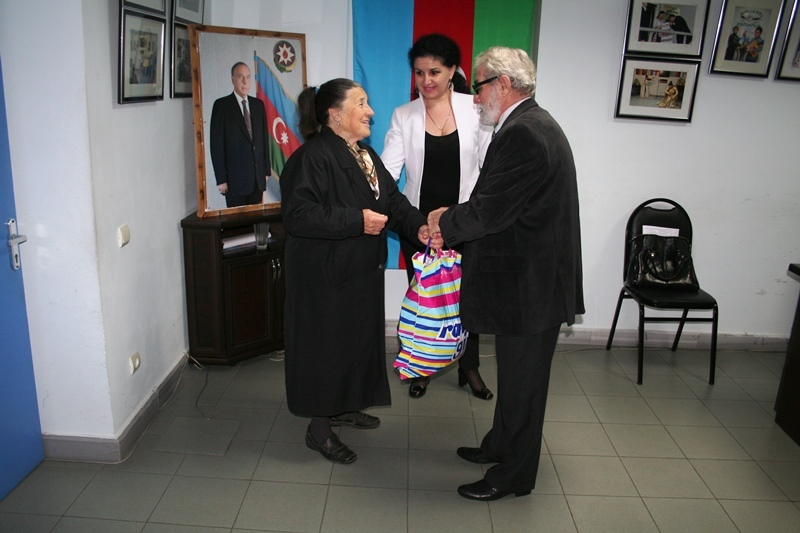 Besides that, on the 31st of December, when all Azerbaijanis of the world celebrate the Day of the solidarity, the Terminal joined the Azerbaijanian Invalids Association in Georgia in the Charity Donation and provided financial support to several poor families. The Association authorities thanked the Terminal management for this benevolent and necessary support and wished BST good luck in all initiatives. Black Sea Terminal LLC will continue this kind of charity activities in the future making a better life for socially unprotected people. On the 25th of October, 2012 Kulevi Oil Terminal joined AZPROMO (Azerbaijan Export and Investment Promotion Foundation Representative Office in Georgia) to participate in Charity Donation and passed poor and needy families foodstuffs (flour, sugar, tea, meat and other products). Kurban Bayram is all about charity and community. During this holiday a goat or sheep, sometimes even a bull is sacrificed and as a rule divided for seven people. The meat is then given to the poor and shared among family members and neighbors. People are constantly on the move visiting family and friends. Family ties get strengthened and children are given an opportunity to bond with the older generations. Kulevi Oil Terminal congratulates all Muslims on this saint day and wishes everybody harmony, understanding, happiness and prosperity. Responding to the kind request of the Administration of Khobi region about providing possible financial support for the repair of the Kulevi Public School, the Terminal has conducted close examination of the school where pupils from all the neighbouring villages are studying. The building of the school had not been repaired for a long time and was in an unsatisfactory condition to conduct lessons there. The Terminal immediately started the repairing works and very soon the interior and exterior of the school were fully repaired and brought in an appropriate condition. 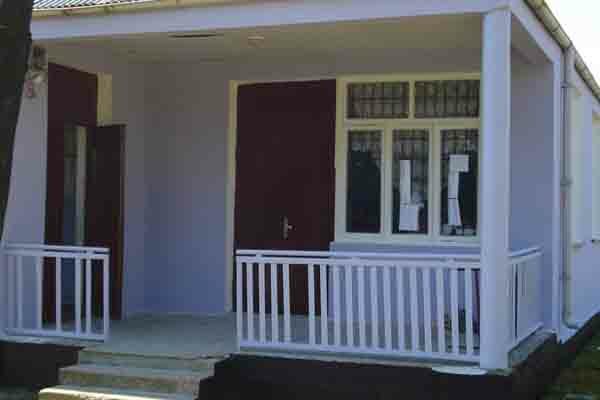 The Terminal management wishes good luck to pupils of the Kulevi Public School in their studies and hopes that they will enjoy attending their newly-repaired school. As a rule, every year the Terminal’s employees organize a fund-raising during New Year corporate party and spend it for charity purposes. And this year was not an exception. On the 7th of January, 2012, when the Georgian people were celebrating the Orthodox Christmas, the Terminal organized holiday meals for the beneficiaries of the “House of Virtue” founded at the Khobi Municipality. The goal of this generous act was to brighten up their lives, even temporarily make them forget their problems and illnesses. Up to 100 people gathered at the canteen of the “House of Virtue” on that day. They were extremely happy about this kindness shown to them by the Terminal and expressed their gratitude wishing the company success and prosperity. Besides, on the 13th of January, 2012, the Terminal provided technical and material support to the Disabled Children’s House which is located in the city of Senaki, presenting them a LCD TV set, CD stereo cassette receiver and a lot of household supplies. About 50 children of different ages suffering from mental and physical disabilities are living and receiving medical treatments there. The orphanage authorities thanked the Terminal representatives for this benevolent and necessary support and wished BST good luck in all initiatives. New Year – is a time of good works, a time of smiles, unexpected presents, joyful meetings and warmth of dear people! Congratulations on season’s greetings of Kulevi Secondary school became a tradition for Black Sea Terminal LLC. Pupils and teachers are always glad to meet guests from the Terminal who bring a lot of sweets and presents for them. Pupils gave the Terminal representatives a warm welcome and organized an interesting performance. 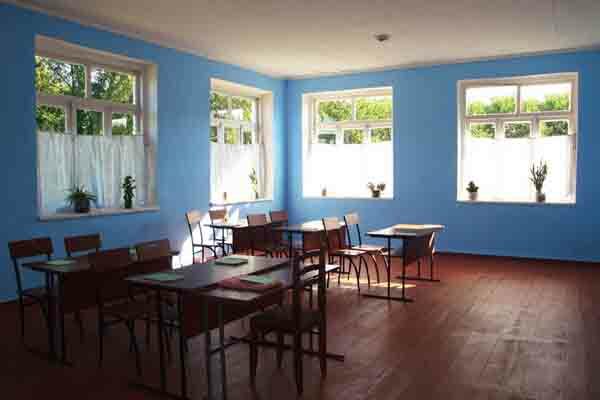 But this year Black Sea Terminal LLC has also responded to the request of another school of Khobi Municipality and public School #2 was presented with necessary techniques. 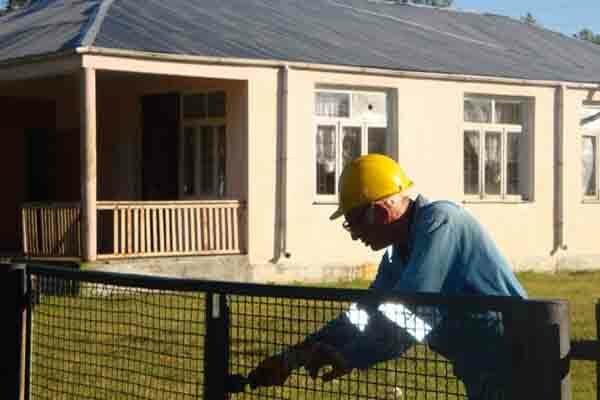 Recently Black Sea Terminal LLC management has been asked to assist Kulevi Basic School in repair works.The terminal responded to the request and decided to please teachers and children once again for the beginning of new academic year. Today the Terminal will fully complete its participation in repairing works. It is to remind that the Terminal supported this school in a critical moment more than once, trying to do all necessary as far as possible. Black Sea Terminal LLC management congratulates all teachers and pupils on the beginning of academic year and wishes success in educational process. 66 years passed since the world defeated fascist Germany and followed the road of development and construction. 9th of May reminds us about exploits and incredible fortitude of people who fought bravely for peace. Many of them didn’t come back home, but those who did are true living legend – veterans of World War II. Traditionally the 9th of May for Khobi Municipality veterans of World War II is celebrated at Glory Museum. BST representatives joined the event to congratulate the veterans and to honor the memory of the fallen and missing in action soldiers. There are 33 veterans of World War II remained in Khobi region, but unfortunately not all of them are able to come to the event. Therefore before the event at the museum together with Mr. Igor Tkebuchava, the Chief Executive of Khobi Municipality, our representatives visited some of the veterans at their homes. BST representatives passed the letters of congratulations and informed the veterans about the transferred financial grants. Expressing their gratitude the veterans and the Khobi municipality representatives wished our company prosperity and successful business. New Year – is a time of good works! It is a time of smiles, unexpected presents, joyful meetings and warmth of dear people! Congratulations on season’s greetings of Kulevi Secondary school became a tradition for Black Sea Terminal LLC. This year the Terminal management decided to make the children happy once more. This time our company presented the school with one of the most valuable types of gifts – replenished its library with various encyclopedias and provided the school with Internet modem. Pupils gave the Terminal representatives a warm welcome and organized an interesting performance. Is there anything better than joyful and excited eyes of children?! Also a small act of charity BST held on the New Year’s Party, where a fund-raising was organized - “Supporting socially unprotected citizens of the region”. The raised funds were transferred to the “Diner for socially unprotected people” founded at the Khobi Municipality, where about 100 people are having meals every day. This small-scale act of charity made it possible to provide the “Diner” with New Year’s meals for one week. The Khobi Municipality expressed a great gratitude to the company management and wished the Terminal success and prosperity. Charity – is a virtue, an opportunity to ease somebody’s sorrow. Our company tries to be responsive and pays much attention to realization of charity, which makes possible not to get stuck in the work and remember the society. The Terminal often receives different requests of help, and we try to justify hopes of our support expectants as far as possible. Thus last week according to the Social Programme Black Sea Terminal LLC supported St. Andrew the First-Called Khobi Monastic Complex and Poti Convent of the Annunciation. The Khobi and Poti Eparchy expressed a great gratitude to company management and wished the Terminal success and prosperity. 65 years passed since the world defeated fascist Germany and followed the road of development and construction. During this period a lot of important events had happened. Time has reappraised many of them, but 9th of May always remained as a very significant day. Yesterday, on 9th of May at noontime management of Khobi Municipality met the veterans of World War II at Glory Museum, where they also invited our company. There could be heard sounds of military music. Veterans were met with carnations and warm words. In turn our company representatives congratulated these distinguished people and mentioned, that the 9th of May – is a wonderful spring day, which brought a great joy to the whole world in 1945, and exactly they, the veterans, are creators of this event. We don’t have the right of forgetting that contribution, devotion and every drop of blood, spilt defending us from enemy. BST representatives passed congratulations in the name of Terminal’s General Director Mr. Karim Guliyev and presented veterans with small souvenirs and financial grants. This fact surprised and made them happy. Having tears on their eyes they told us about how they fought abreast with Azerbaijani friends and wished our company prosperity and successful business. 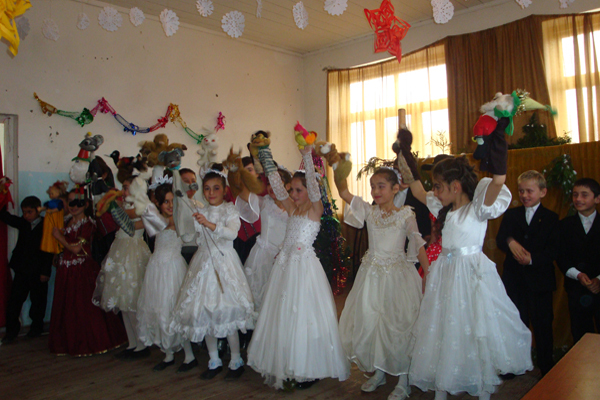 On December 23, 2009 BST representatives participated in New Year Party arranged by Kulevi village school. All participants enjoyed songs and funny shows performed by children. BST representatives showed appreciation to Kulevi School for invitation and nice performance and gave valuable New Year presents. Khatia Ochigava – Kulevi School Director expressed her gratitude to BST Ltd. for inestimable cooperation and support which was rendered during years of activity of Company.